In loving memory of my son. Walter C Innes died 30th March 1941 aged 37. 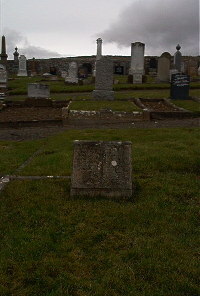 Father James A Innes died 14th May 1944 aged 76. Sister Davidina Innes died at Glasgow 18th January 1940 aged 45. Mother Jessie Forbes died 12th March 1958 aged 90. Erected by his loving wife and mother.